As in the star of the show on Thanksgiving, the turkey. Every year Eric’s brother fry’s a turkey a turkey and traditionally my family orders a Greenburg smoked turkey. And many of you go the traditional baked turkey route. And while I absolutely adore every.single.one.of.those.turkeys. (like deeply, passionately), if you need a simpler, 100% stress free turkey for Thanksgiving, I have the recipe for you. 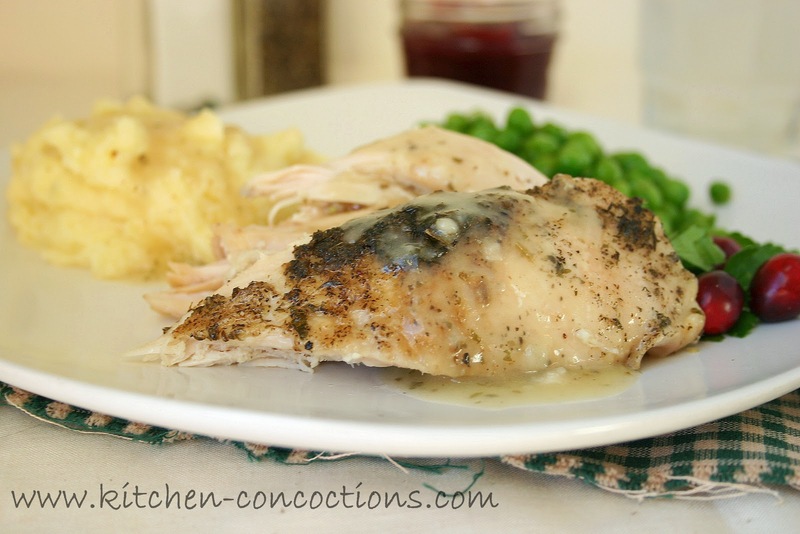 While cooking the Thanksgiving turkey in the crock-pot is not the traditional cooking method, it is a darn good option! And here’s why (in case you need a detailed explanation). This is actually turkey breasts, not a whole turkey, and it is seriously cooked in the crock-pot. The turkey breasts are easier and less intimidating than an entire turkey and fit nicely into a crock-pot. 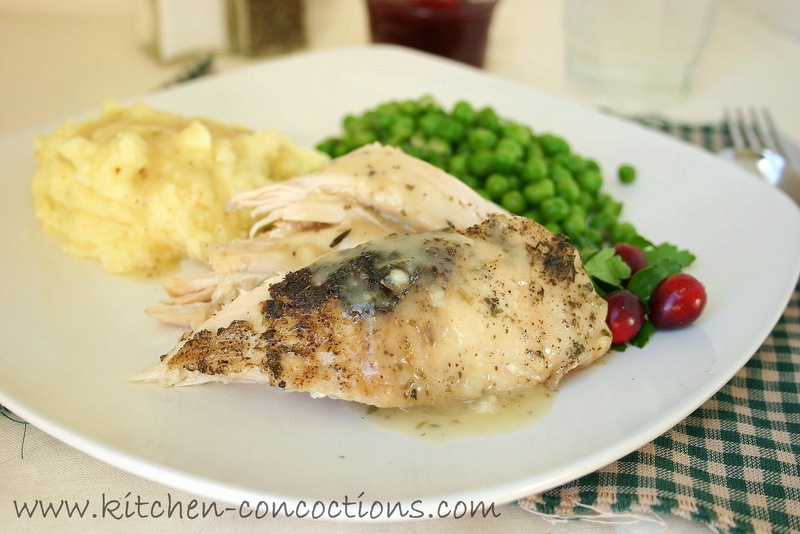 I love that using the crock-pot to cook the turkey on Thanksgiving, frees up your oven for side dishes and pies galore. 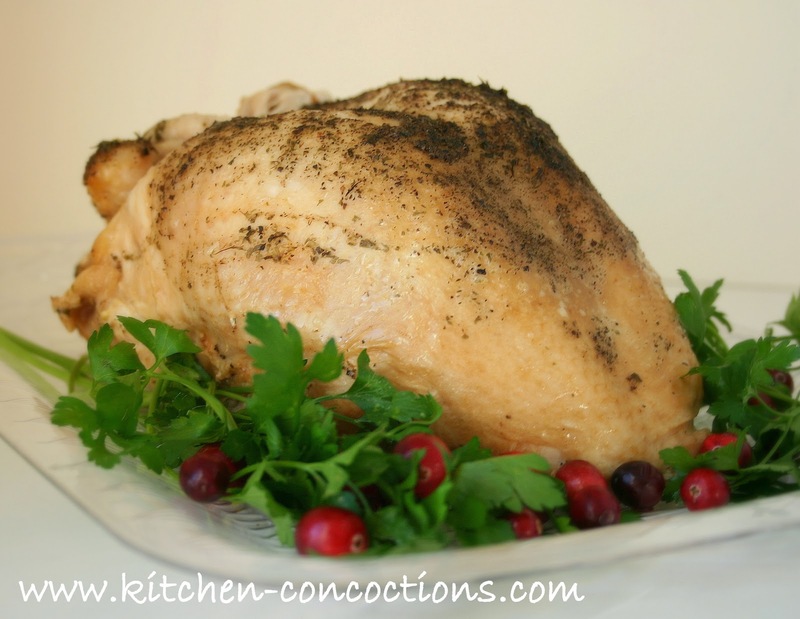 The crock-pot also ensures that your turkey doesn’t end up dry or over cooked (which could be a Thanksgiving Day travesty), simply moist, tender and flavorful. Don’t have you convinced yet? Well here are a few more reasons why I think this is how you should prepare your holiday turkey. Despite the turkey being slow cooked in the crock-pot, it comes together easily (no brining to mess with) and it will be ready in about five hours. Which frees up the day to prepare those sides or desserts, or sleep, or mingle with your dinner guests, watch football or drink wine! And did I mention this is a totally stress free turkey method. Oh, and the turkey breast (at least at my store) was cheaper than a whole turkey, while still capable of feeding at least 8-10 (probably 12) people. So if you are having more than that at your Thanksgiving dinner table you could barrow another crock-pot and make another turkey breast or maybe serve up some ham too! Remove anything from instead the turkey breast cavity. 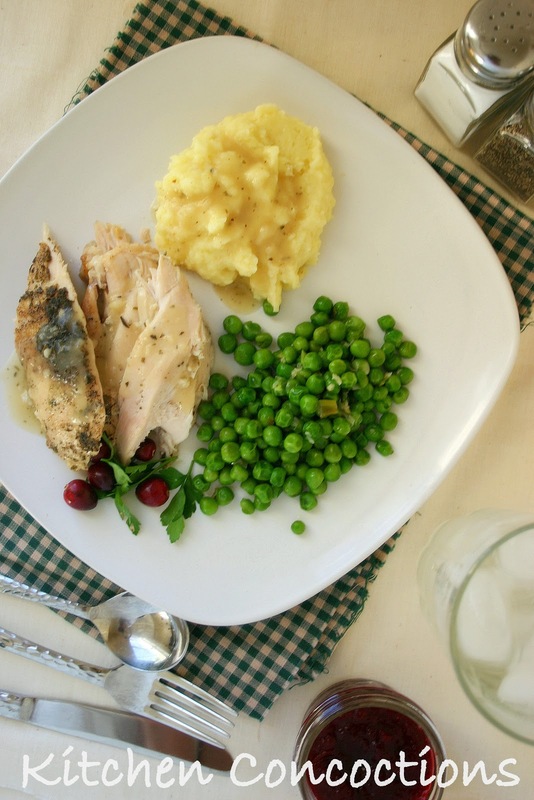 Pat turkey breast dry and remove any excess fat or skin (do not completely remove all skin as this helps add flavor). In a large, 6-8 quart crock-pot, arrange vegetables and lemon, comfortably in the bottom of the crock-pot. There is no need to chop vegetables, unless you need to do so to fit into the crock-pot. Pour in broth. Place turkey breast on top of vegetables and broth; adjusting vegetables and turkey as needed to properly fit in crock-pot. Pour melted butter over top of turkey. Sprinkle poultry seasoning, salt and pepper evenly over turkey. Cover and cook for 4-5 hours on high, 8-9 hours on low, or until meat thermometer inserted into the thickest part of the breast reads 180 degrees.